Enjoy living close to everything in this full-amenity building in the heart of River North. 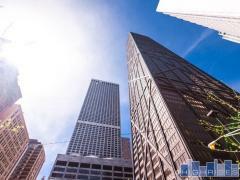 Built in 2003, 400 N Lasalle has a great list of modern amenities including an outdoor pool, 24/7 doorman service, fitness center, outdoor deck with grills and a resident party room. Have any comments or questions about 400 N Lasalle? Ask your question and/or share your thoughts about this Building.